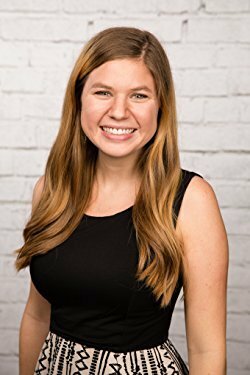 Launching and Marketing Your First Book on Amazon with blogger and author, Alyssa Padgett. Writing journal and something to write with. ​In 2014, Alyssa Padgett convinced her husband Heath to take her to all 50 states for their honeymoon. Somehow he tricked her into doing it all in an RV. They’ve lived and traveled in an RV ever since. Alyssa is a film producer, travel blogger, and the chief navigator and co-pilot of their Winnebago. She directed and produced Hourly America, a documentary film about their 50 state honeymoon, that was featured on CBS, CNN, Fox, People, Yahoo, Huffington Post, and more. A Beginner’s Guide to Living in an RV, an Amazon bestseller, is her first self-published book. Alyssa firmly believes living in an RV means it’s acceptable to eat s’mores every day.